Food, Farming and Future, with a miracle organic farmer! 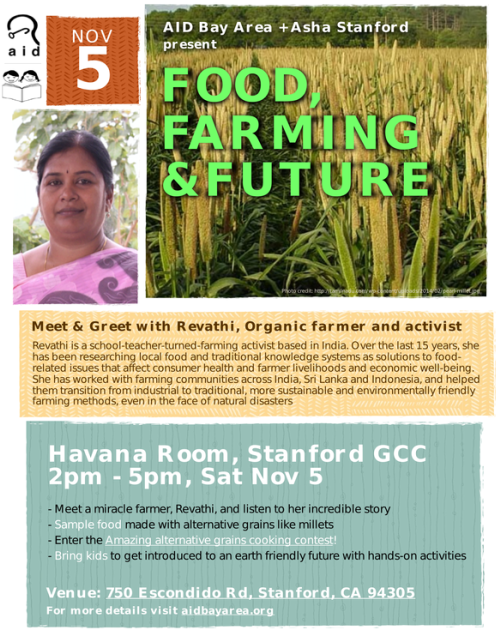 Join AID Bay Area and Asha Stanford at a community event centered around sustainable agriculture and food. Enter the cooking contest to cook dishes made from alternative grains! Enter the alternative grains cooking contest! 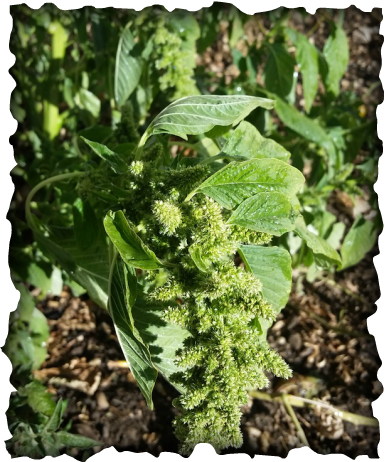 Did you grow up eating food made from millet, amaranth, raagi ? Or have you ever wanted to see why are they considered 'health foods'? Have you found that one mouthwatering recipe involving grains other than wheat or rice, and wanted to try your hand at it? Then look no further! Enter the AID Bay Area cooking contest to be held on Saturday, November 5 by registering your email below! If you are looking for inspiration, you can find some ​on this blog.